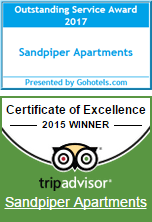 What better Gold Coast Accommodation on the beach than at Sandpiper beachfront apartments. You’ll just love their location, 50 metres from the beach with beautiful oceanfront views from most of the apartments. It won’t take anytime at all to get that holiday feeling, with the gorgeous Broadbeach sand and surf just waiting for you. Boradbeach is the grownup person’s version of what Surfers should be. Well let’s not kid ourselves, Surfers will always be Surfers with it’s bold beach culture on display during the day, and a pumping club and bar culture by night, and it’s not far away if that’s something you’ve come to the Gold Coast for. But we know that the Gold Coast is not just Surfers either, it’s so much more besides. You’ll find our lovely and spacious one and two bedroom apartments just the place for your holiday stay. The apartments are roomy with all the modern comforts of home; Foxtel, ceiling fans in the living / dining areas and bedrooms, a gorgeous heated swimming pool and hot spa alongside and wi-fi on tap. All apartments have fully equipped kitchens too, and the closest supermarket is Woolworths in the Oasis Shopping Centre, just a three minute walk. Maybe a visit to Main Beach is in order. Complete your theme park tour at Sea World, or maybe glitz it up at Palazzo Versace — the ultimate fashion experience. Whether you come for a drink at one of the bars, take high tea, peruse the salon, or enjoy a day spa treatment, a Versace experience is opulent and unique. 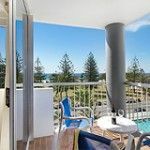 What better Gold Coast Accommodation on the beach is there than at Sandpiper Beachfront Apartments. 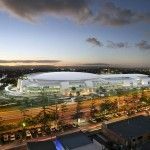 You’ll just love their location, not just close to the beach, but within reach of all the good things on the Gold Coast. 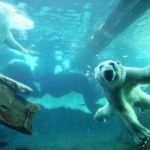 Book in your next Gold Coast holiday accommodation now.